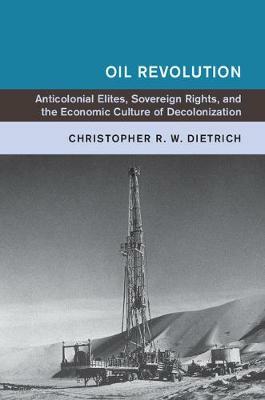 Author(s) Dietrich, Christopher R. W.
Through innovative and expansive research, Oil Revolution analyzes the tensions faced and networks created by anti-colonial oil elites during the age of decolonization following World War II. This new community of elites stretched across Iran, Iraq, Saudi Arabia, Venezuela, Algeria, and Libya. First through their western educations and then in the United Nations, the Arab League, and the Organization of Petroleum Exporting Countries, these elites transformed the global oil industry. Their transnational work began in the early 1950s and culminated in the 1973-4 energy crisis and in the 1974 declaration of a New International Economic Order in the United Nations. Christopher R. W. Dietrich examines how these elites brokered and balanced their ambitions via access to oil, the most important natural resource of the modern era.